That’s roughly 3.4 million trees per year not counting the trees used by the lumber industry. None of the above account for what we use in paper product around the home or office. In total, according to Understory – The Official Blog of RAN, about 3 to 6 billion trees per year are used for global production and consumption of woodfuel (charcoal and other energy uses) roundwood (paper and other non-lumber products) and sawnwood (lumber). The Global Forest Resources Assessment 2005 report estimates global tree production at 1.7 billion (46 percent) , 1.6 billion (43 percent) and 421 million (11 percent) cubic meters respectively with comparable volumes consumed globally. So how can we make a difference? One way is to reduce the amount of napkins and paper towels we use. Another option is to use cloth napkins and cloth towels. They can be washed and used over and over. They are sometimes made with cotton. Cotton is a natural and rapidly renewable resource. 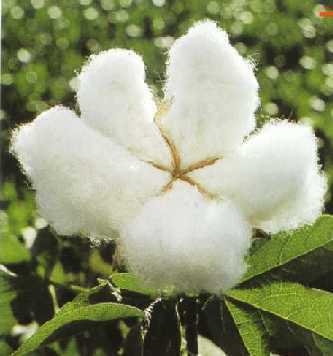 Cotton is a natural, renewable and biodegradable fiber. In contrast, the major synthetic chemical fibers use petroleum as a base, which is non-renewable and, therefore, not sustainable. The U.S. cotton industry actively supports the three long-term goals of sustainability: environment, economics and quality of life. Visit Cotton USA for more information. Unisource is a company that comes to mind as a manufacturer of paper towels and facial tissue made from other rapidly renewable resources such as acacia, mixed tropical woods and eucalyptus, which are plantation crops harvested in less than 10 years. This entry was posted in Lifestyle, Products and tagged cotton, environment, green, napkins, paper, products, rapidly, renewable, sustainable, towels. Bookmark the permalink.